I agree wholeheartedly with John Wendolowski’s observations (Letters, Park Record, Feb. 1-3, 2017). Being a frequent pedestrian all over town, I observe idling vehicles constantly. My mantra is “there is no law if it is not enforced.” Of course laws are frequently meant as common sense rules that all should follow but there are those to whom the rules don’t apply. You know who you are. The same people that repeatedly run red lights, fail to stop for pedestrians, walk your dogs off leash, don’t pick up their poop, etc. One of my pet peeves is empty beer or Red Bull cans under the lift lines. It’s lighter once it’s empty than when you carried it up — like campsites with litter left behind. Are you that lazy and stupid? They must be of royal lineage! A general sense of common courtesy would go a long way but we seem to be very far from that. 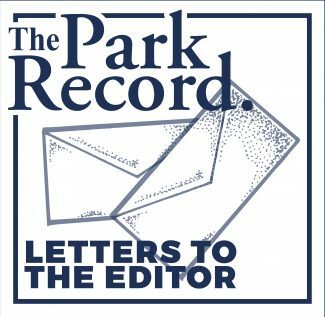 On January 31, 2017 The Park Record published a guest editorial addressing climate change, ‘To solve climate change the passengers must now fly the plane,’ by Mark Reynolds. 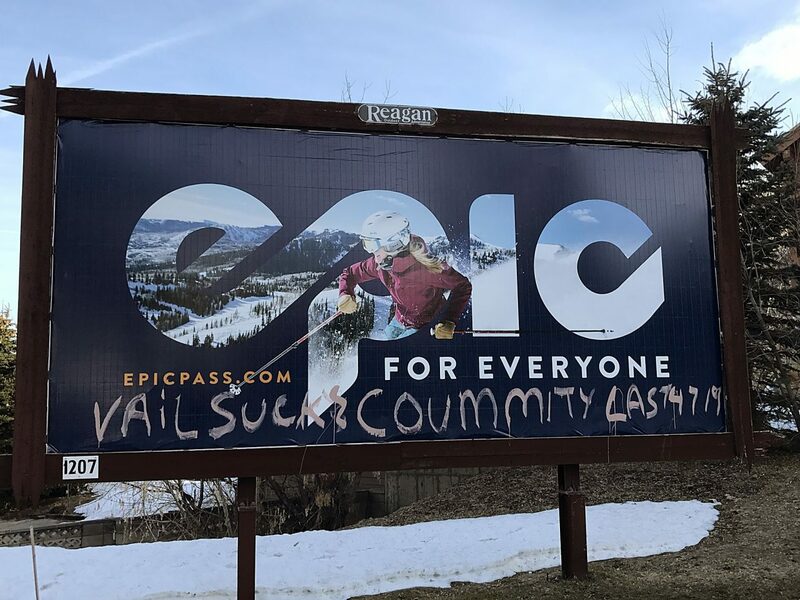 I am happy to see that our own Deer Valley Resort, and its sister resort, Solitude, have publicly acknowledged climate change is indeed a global problem and that they are taking a seat in the cockpit. Recently, Deer Valley and Solitude both publicly endorsed a solution that holds fossil fuels accountable for the damage they cause to our environment. This is a steadily-rising “fee” to be placed on greenhouse gas emitting fuels, with all revenues returned to households in the form of a dividend (Carbon Fee & Dividend). Enacting such a policy will bring down greenhouse gas emissions, while also boosting the economy. This solution is proposed to our legislators by Citizen’s Climate Lobby (citizensclimatelobby.org), now with the support of Deer Valley and Solitude. Elizabeth Warren offers the type of forceful leadership the Dems need. Warren is eight years younger than Bernie. She would be 71 or about Trump’s current age for the 2020 campaign. People want change. Warren represents not only change but the type of change that almost all Dems can support and many Trump voters would also support. Hillary, unfairly for the most part, was tagged with the status quo – more of the same. She beat Bernie because she – and Bill – held the levers of power in the Democratic organization. It’s true that even aside from her almost complete sweep of super delegates (party power), she won on a regular delegate count. IMHO, this was (as the leaks revealed) because the National Party organization, big money and Dem voter timidity were on her side. The Trump voters have seen their incomes remain stagnant (inflation adjusted) for almost two generations and were fed up to the point of taking a chance on someone who would shake up the system — hopefully to their benefit. Elizabeth Warren would shake up the system and it would be to their benefit. Most of us accept that humans are causing climate change and the risks are dire if we continue burning fossil fuels at the current rate. We have seen the visuals of Utah in 2080 without snow. We don’t even want to imagine the other, more drastic life-threatening consequences. Yet some of us in our own community are taking bold steps to make a difference. Representative Mia Love recently became the first Utahn to join the bipartisan Congressional Climate Solutions Caucus. Deer Valley and Solitude recently became the first Utah ski areas to endorse the Citizens’ Climate Lobby carbon fee and dividend legislation. We applaud Representative Love, Deer Valley, and Solitude for their continued leadership and their stewardship of our environment. Major businesses in our community strongly support meaningful, bipartisan, market-based climate solutions on a state and federal level. As business owners and community members, let’s show Congress we endorse immediate action to pass carbon fee and dividend laws. With our joint efforts, we can take significant steps toward reducing emissions, and improving our odds of maintaining a vibrant ski industry. I live in Brown’s Canyon. I would like to make some comments on the proposed amendment to the plans for the Promontory South Point Development. This proposed amendment is overly ambitious. The prospect of having such a huge disturbance in Brown’s Canyon, a land set aside for open space, agricultural purposes, livestock, and 100-acre zoning should concern us all. They developer is seeking to add 190,000 sq. ft of commercial, 350 hotel rooms and 1,020 residential units. along with a 100,000 sq ft recreational facility e.g. a water park, and a new high school. The traffic situation alone is disturbing because the only entrance planned is off of Brown’s Canyon Road. There should be access from State Road 248 for the homes which number over one thousand. Traffic on Brown’s Canyon Rd will be highly congested through the already dense Black Rock Condo area in Wasatch County. This will also affect the quality of life for thousands of Summit County residents in Oakley and Peoa. Traffic, water, open space, affordable housing, habitat, dark skies and the Green Belt will all be negatively impacted. Over the next month we will be asking the Eastern Summit County Planning Commission and the Summit County Planning Department to take a very careful look at this overly ambitious proposal by a developer who needs to understand the zoning in, and nature, of Brown’s Canyon. It is our understanding that this proposed amendment will be on the Commission’s agenda in March. My neighbors and I are available to speak to this issue.